We’re still a season away from the 2016 NHL Draft. That’s about ten months between now and next June. So why write about it now? Well, the Toronto Maple Leafs will be a team that might not be all that exciting to watch. The most excitement during the season will probably center around which players on one-year deals overachieve and get traded at the Trade Deadline. The Leafs will more than likely end up finishing in the bottom-five of the league for the second year in a row. That will open up the chance for the Leafs to take another top prospect. Now, the top prospect for the next year’s draft is definitely Auston Matthews, who just announced that he will be playing in Switzerland during his draft year. Now, if the Leafs win the draft lottery, they should definitely take him. However, if they don’t win the lottery, there is one player that the Leafs will probably take if he’s available. Matthew Tkachuk, the son of former NHLer Keith Tkachuk, is one of the top prospects eligible for the 2016 Draft. Playing with the U.S. National Team Development Program last season, he will also be playing for a new team in 2015-16. 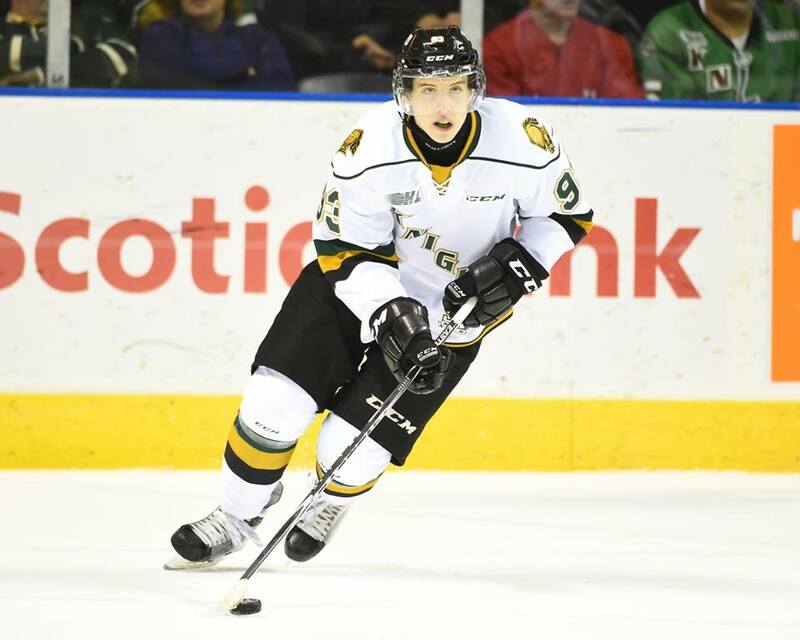 That team will be the London Knights of the OHL. Hence, the connection begins. 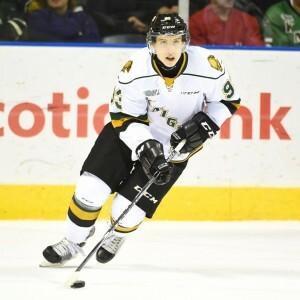 The Leafs selected Mitch Marner with the fourth overall pick in the 2015 Draft. What team was he playing for and most likely again next season? The Knights. Who is part owner of the Knights? Mark Hunter, the Leafs current Director of Player Personnel. If the Leafs do indeed send Marner back down to London, you can bet they will be keeping a close eye on him. While they’re doing that, you can bet they’ll be getting a good look at Tkachuk as well. The Leafs are also weak at the left wing position when it comes to high-end prospects, so taking Tkachuk would also make sense on the Leafs depth chart. We don’t know where the Leafs will end up selecting in next year’s draft, but with the Leafs on-ice product not something to be happy with, the odds are that we’ll be looking into the draft sooner than other NHL teams this season.